Americas Best Value Inn and Suites Foley offers the most value for your money when staying for business, pleasure, or just passing through. We are conveniently located on HWY 59 South next to IHOP. We are near local popular attractions such the Alabama Gulf Coast Zoo, Train Depot Museum, Waterville USA, and the Gulf Coast Beaches. 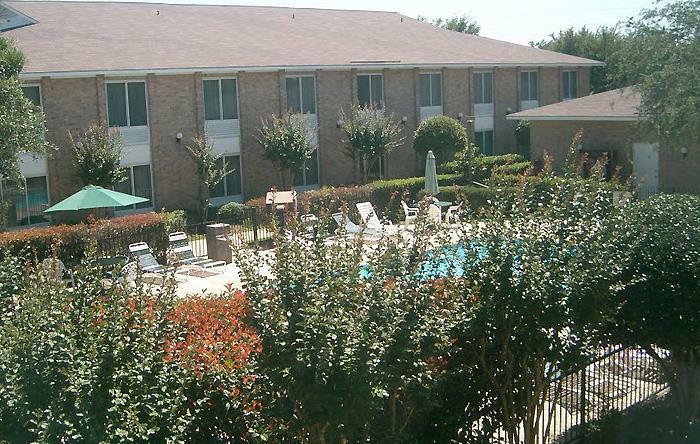 Our hotel provides clean and comfortable rooms and is ideally located in the heart of Foley. Enjoy some leisure time at our outdoor swimming pool or get a workout in at the on-site fitness center. Free coffee and continental breakfast are served daily. For business travelers we also offer two meeting rooms that can accommodate from 15 to 90 people. All guest rooms include free wireless Internet, microwave, mini-fridge, coffeemaker, hairdryer, flat panel satellite TV, HBO, ESPN, iron, and ironing board. Take advantage of our extremely comfortable beds and relax while saving money year-round with our Kids Stay Free Policy (12 and under in parent's room). For your convenience our hotel offers both smoking and non-smoking rooms. Sorry, no pets are allowed. Americas Best Value Inn and Suites Foley is your best choice within southeastern Alabama. We offer ideal accommodations and location whether you are in town for vacation, business, or simply passing through on your way to New Orleans or Tallahassee. At Americas Best Value Inn and Suites Foley our goal is to provide our guests a great experience, not just a place to stay. At Americas Best Value Inn and Suites Foley, We've Got You Covered from the time you hit the road until your head hits the pillow. Please note: $10 per person charge for children 12 & up and adults, when more than 2 individuals in a room. Vallarta Mexican Restaurant, 0.4 mi. Desoto-s Seafood House, 7 mi. Original Oyster House, 7 mi. Road Kill Cafe, 9.1 mi. Check out these Foley attractions during your stay. Track Family Recreation Center, 4.3 mi. Bon Secour National Wildlife Refuge, 5 mi. Baldwin County Heritage Museum, 7 mi. Pirate's Island Adventure Golf, 7.4 mi. Craft Farms Golf Club, 7.7 mi. Gulf Shores Tennis Complex, 8.4 mi. Gulf Adventure Center Zip Line, 11 mi. Orange Beach Pirate Ship, 13.9 mi. Southern Rose Dolphin Trip, 14 mi. Foley Museum and Archives, 0.75 mi. Holmes Medical Museum, 0.75 mi. Graham Creek Nature Preserve, 4 mi. Alabama Gulf Coast Zoo, 7 mi. Sweet Home Farm, 9.1 mi. Weeks Bay Reserve, 10.4 mi. Baldwin County Coliseum and Fairgrounds, 11.7 mi. Southern Rose Dolphin Tours, 14 mi. Gulf State Park, 16 mi. National Naval Aviation Museum, 28.8 mi. Meaher State Park, 31.2 mi. History Museum of Mobile, 37.6 mi.